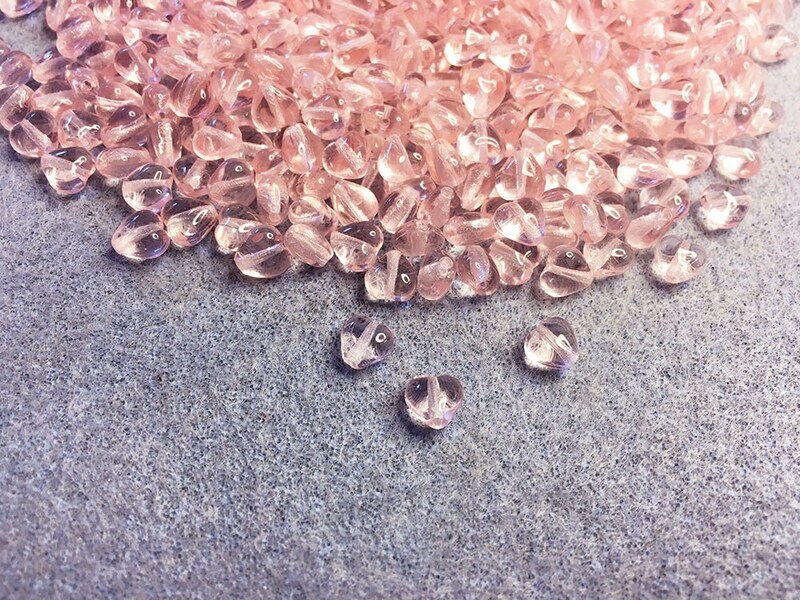 25 transparent light pink or pale pink Czech glass heart beads. Size is 6mm. Hole runs vertically through the bead. Love the color of theses beads!!! Thank you so much! Everything I order was perfect and shipped super fast!! Adorable little heart beads, just what I needed and shipped super fast! Great beads. Thank you for the quick shipping.